The Army will test the Colorado ZH2 in extreme field conditions next year to determine its viability on military missions. 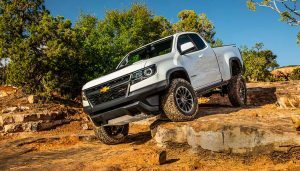 The Chevrolet Colorado ZH2 is billed as “the most extreme off-road-capable fuel-cell-powered electric vehicle ever from General Motors.” It was revealed at the fall meeting of the Association of the United States Army. Built on a stretched Colorado chassis, the Colorado ZH2 stands almost seven feet tall and over seven feet wide. 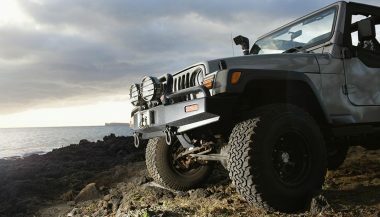 It rides on 37-inch tires and a specially modified suspension that helps the vehicle traverse all types of terrain. 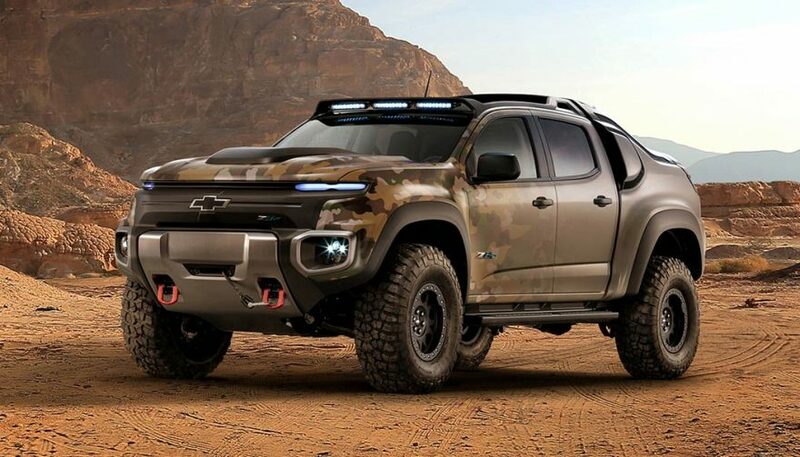 The Colorado ZH2 is a collaborative effort of GM and the U.S. Army Tank Automotive Research, Development and Engineering Center. The ZH2 was developed from contract to concept in less than a year. The Colorado ZH2 also features an Exportable Power Take-Off unit that allows the fuel cell to power activity away from the vehicle. This is of great value in remote locations where electric power may otherwise be unavailable. Fuel cell vehicles (FCVs) are actually electric vehicles with onboard power generation by the hydrogen-powered fuel cell. FCVs have the potential to expand the capabilities of military vehicles through quiet operation, exportable power and solid torque performance. These are all desirable attributes on the battlefield. Most of the Colorado ZH2 was assembled in GM’s Advanced Vehicle Integration facility in Warren, Michigan. Calibration testing will continue into early 2017 at GM’s Milford Proving Ground. The vehicle will be turned over to the Army for a year of field testing. Billions of dollars have been spent by a variety of automakers to develop FCVs. 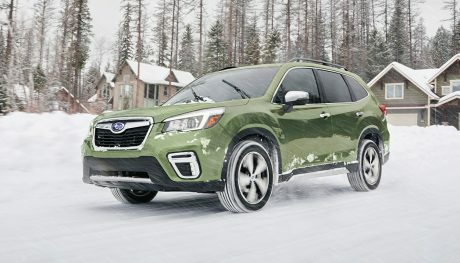 After many years of effort, these vehicles are starting to come to market. Toyota’s Mirai is here, Honda’s Clarity will arrive shortly, others are on their way. Fuel cell-powered electric vehicles replace one set of problems with another. They eliminate the long charging times faced by pure electric vehicle owners, since hydrogen refueling times are comparable to gassing up a conventional vehicle. Range is another problem that FCVs eliminate, as they are easily able to surpass 300 miles on a fill up. The best electrics currently offer over 200 miles of range, but have not yet reached 300. That’s another advantage to FCVs. But then we are stuck with the infrastructure problem. The buildout of hydrogen fueling stations is proceeding very slowly. This means that sales of FCVs will be limited to a few metropolitan areas for the foreseeable future. It’s a chicken-and-egg situation. The FCV market will continue to be a small-scale science experiment for many years to come. The Colorado ZH2 will no doubt teach us how to make FCVs more rugged and durable. But how will it help to expand the hydrogen infrastructure that is essential to widespread adoption of FCVs? Good question! And while we’re on the topic, how is the Army going to fill these things with hydrogen in the middle of Afghanistan? The good news is, if any are captured, the enemy won’t be able to use them! Yes, There Is A Civilian Benefit! But congrats to GM and the Army for putting this technology to the test, and in such a macho wrapper! 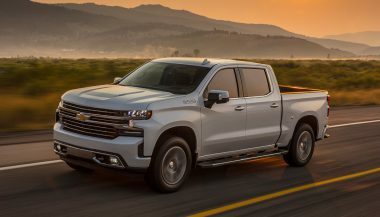 Couldn’t you see this truck (minus the fuel cell) sitting in a special spot outside your local Chevy dealer, pulling in truck buyers like a magnet? 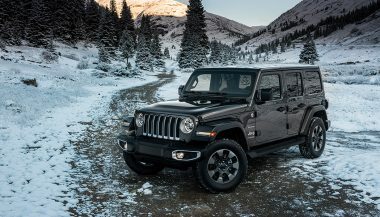 Before you take off on another adventure, take a look at these tips to make your off-road experience even better.